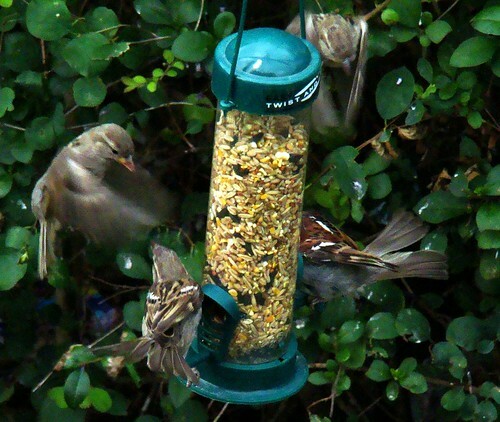 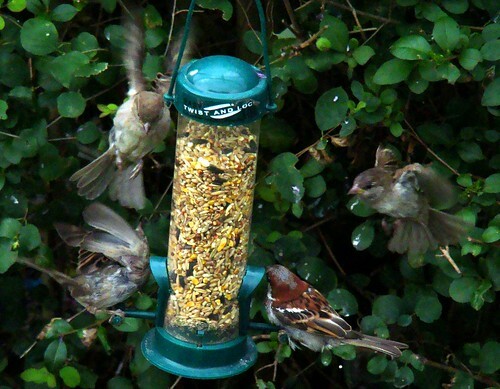 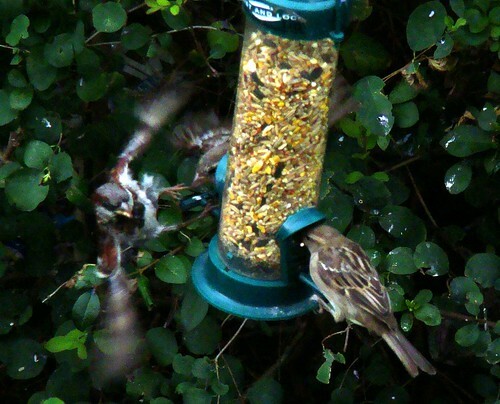 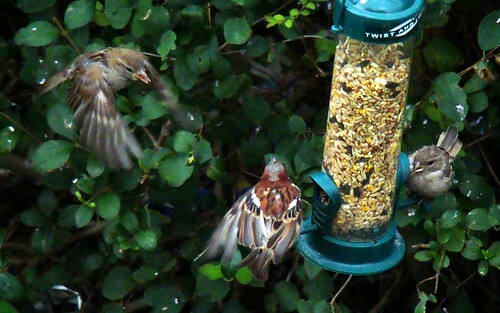 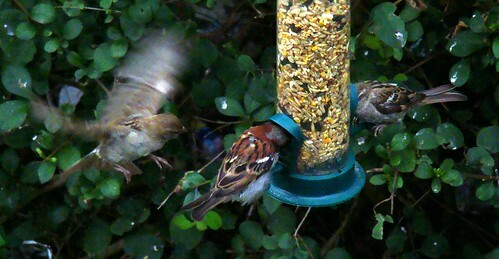 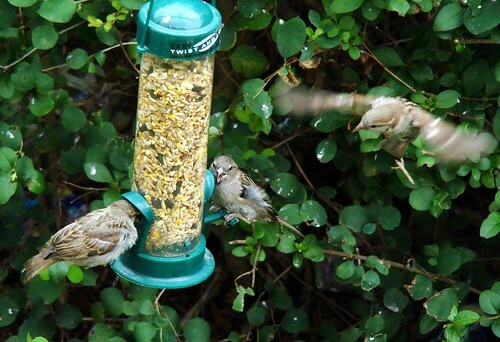 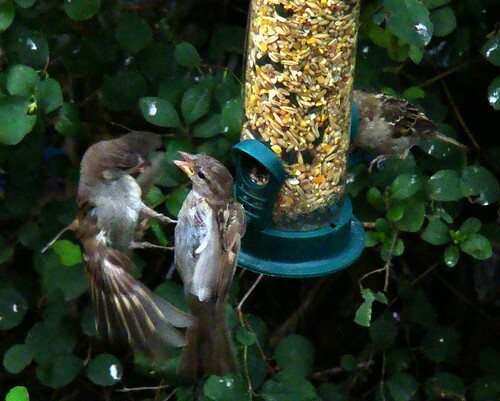 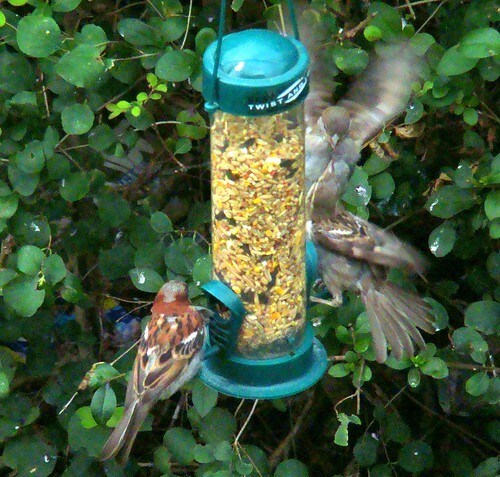 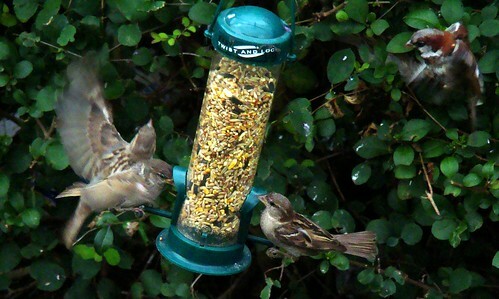 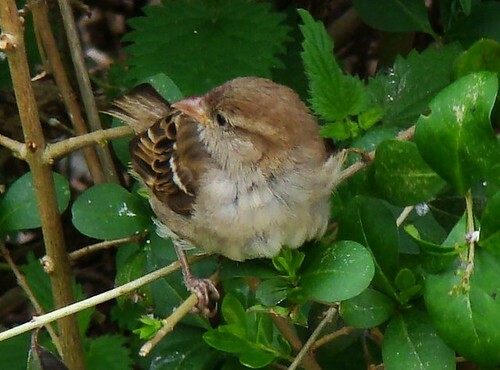 I decided to push my camera`s limits and take some images of the sparrows in flight at my feeder in low light. 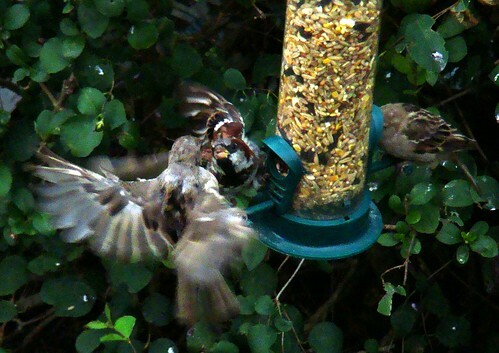 With the light falling fast I had to beef up the ISO to 800 and although I`d have liked to have a faster shutter speed 1/500th of a second was the best I could do with my poor camera. 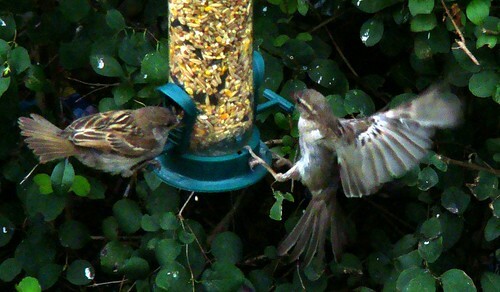 Time to upgrade to an SLR eh?